Hayley and her husband, Bill, along with their two daughters, Rebecca and Liah. For Hayley Atkinson, good things come in pairs: Two kidneys. Two living kidney donors. Two healthy daughters. Although her journey to motherhood and wellness has not been easy, Atkinson is grateful for one constant: the life-changing care she has received at St. Paul’s. In 2003, Hayley and Bill Atkinson were engaged, finishing school, and planning their future when everything came to an abrupt halt. Hayley’s kidneys were failing as a result of an auto-immune disease. Her nephrologist, Dr. Abeed Jamal, recommended an immediate six-month course of chemotherapy. Atkinson was devastated: she was 20 years old and feared the treatment would dash her dreams of having children. Although Jamal wanted to start the chemo right away, he understood the couple’s concerns and sent them to a fertility specialist. It was a whirlwind, not only with tests and treatments, but with a hastily planned wedding. Bill insisted they move up the date so he could truly be with Hayley in sickness and in health. Two weeks after her diagnosis, their families gathered to celebrate their marriage. Chronic kidney disease can’t be cured, but it can be managed. 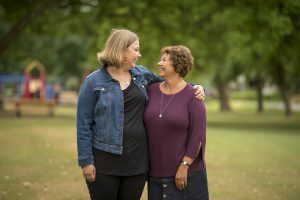 Atkinson’s renal team spent the next two years trying to control her condition, but eventually she had no choice but dialysis. Atkinson’s mom, Jeanne Wunderlick, remembers how hard that was. “People don’t realize how debilitating dialysis is. You’re existing, but you’re not really living,” she says. It was time for a transplant. When Wunderlick learned she was a match, she insisted on being the donor. A year later, Atkinson got the green light she had been waiting for: they were cleared to try for a baby. “We didn’t know if we’d be able to have kids. But it actually happened very quickly,” she says. That was until December 18, 2008, when a freak snowstorm shut down the city just as Atkinson was going in for her C-section. Fortunately, they got to St. Paul’s in time to welcome their firstborn in the wee hours of that wintery night. With mom and daughter safe and cozy inside, dad stepped out to take photos of the hospital wrapped in the quiet, snowy brilliance of the Lights of Hope. The little family was discharged on Christmas Eve, with baby Rebecca Hope named in honour of their incredible experience. St. Paul’s Lights of Hope on the night Rebecca Hope was born. A year later Atkinson’s doctors gave the all-clear for baby No. 2. But this time there were serious complications, and at just 20 weeks, she was put on full-time bedrest. For two months, the renal and obstetrics teams worked together to preserve her kidney function and delay her delivery. For Atkinson’s unborn baby, each extra day could mean the difference between life and death, between good health and lifelong challenges. In her 26th week, it was clear the baby wasn’t going to wait much longer and responsibility for Atkinson’s care was transferred to BC Women’s Hospital. (St. Paul’s can only care for preemies after 32 weeks.) Atkinson’s doctors from St. Paul’s were in constant communication with her caregivers at BC Women’s to ensure the best possible outcome for both patients. Atkinson credits that exceptional teamwork for the gift of an extra 21 precious days. Baby Liah Grace was born at 29 weeks, tiny but feisty. Atkinson was well enough to go home after a week. Liah stayed another month and was then transferred to St. Paul’s. Thanks to the amazing care before, during, and after her birth, Liah was able to go home at two and a half months of age. But the pregnancy had taken its toll and Atkinson needed another kidney. This time, a dear friend from university stepped forward. In December 2013, Carolyn Putt celebrated her 30th birthday at St. Paul’s by giving Hayley the priceless gift of good health, and quality time with her children and her family. 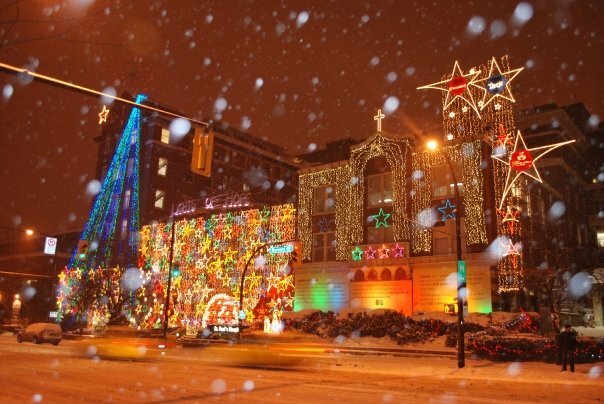 At the darkest time of year, Lights of Hope illuminates Vancouver’s Burrard Street corridor and transforms the façade of St. Paul’s Hospital into a beacon of hope and joy. 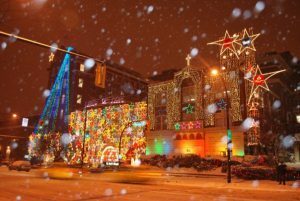 But this spectacular annual showcase is more than just a beloved holiday tradition: it’s one of St. Paul’s most visible – and most important – fundraising campaigns. 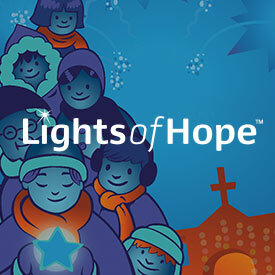 Since 1998, the Lights of Hope campaign has raised more than $35 million thanks to the generosity of donors like you. When you give to Lights of Hope, you support Providence Health Care’s greatest needs. That means your gift goes where the need is most acute. It could be something urgent, like a vital piece of equipment, perhaps an incubator in the NICU. Or something that enhances patient comfort, like a blanket warmer. 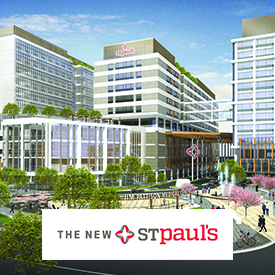 It could even be an innovative clinical initiative, like St. Paul’s renal obstetrics program. 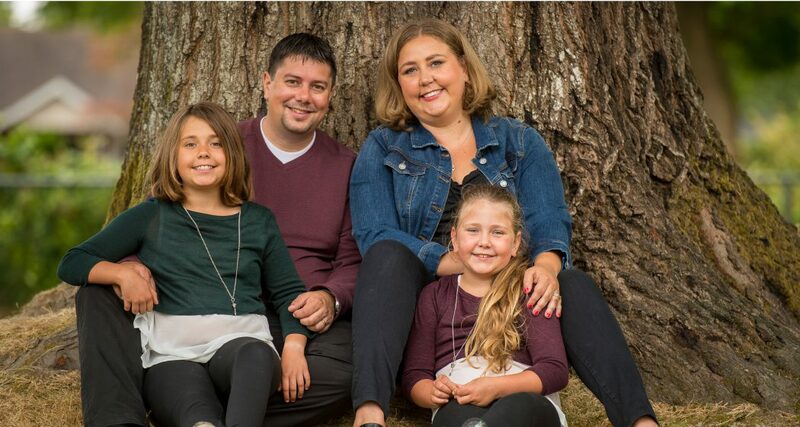 Atkinson, her babies, and her kidney donors got the specialized care they needed because of the generous support of donors like you. Give today at lightsofhope.com.